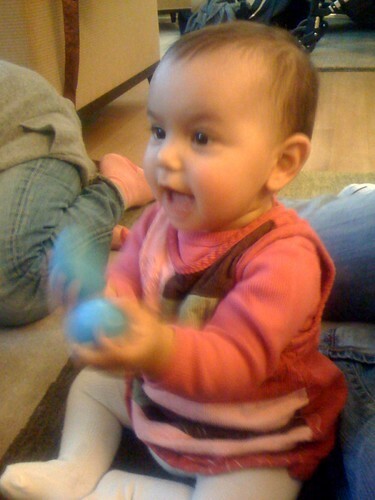 Laila in music class, originally uploaded by Salim Virji. 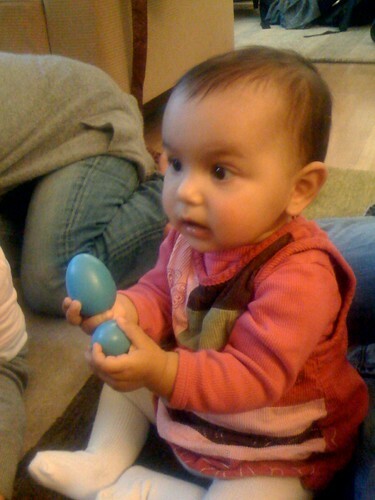 Laila playing egg-shaped shakers at music class. She participates in two classes weekly. This page contains a single entry by Salim M. Virji published on November 25, 2009 3:15 PM. Laila swinging at the park was the previous entry in this blog. Laila waving is the next entry in this blog.